Student Rates Beginning May 1st! Eliminate clutter in your home. Bring those items you don’t use every day, such as seasonal clothing and holiday decorations, to University Storage. Look to us for self-storage in Lawrence, KS. We provide secure, climate-controlled units in a convenient location. It seems we all have too much stuff in our houses. You don’t have to get rid of possessions that are precious to you. Instead, make use of the available space in our clean and well-lit self-storage facility, which is available to you 24/7. You can store a great amount of possessions in just one of our units. However, when you need more, just let us know. We have the space you need to keep your belongings safe. Our property manager has extensive training and is available by appointment seven days a week. Plus, you can reach out to our call center from 6 a.m. to 7 p.m. Monday through Sunday. We offer our tenants a number of amenities, which add value and convenience. It’s all part of our mission to provide you with exceptional service. Take advantage of our payments options. You can choose one of our auto-pay choices, pay online, or pay by phone — whatever works best for you. Lease your unit on a month-to-month basis. Your lease runs from anniversary date to anniversary date, so there’s no pro-rating hassle. For you convenience, we provide packing supplies and accept packages on your behalf. University Storage wants you to be happy with our self-storage units in Lawrence, so you’ll tell your family, friends, and neighbors about us. You don’t even have to be a tenant to qualify for our $50 referral program. Reach out to us for information or to schedule an appointment Monday through Sunday. We have a storage unit waiting for you. 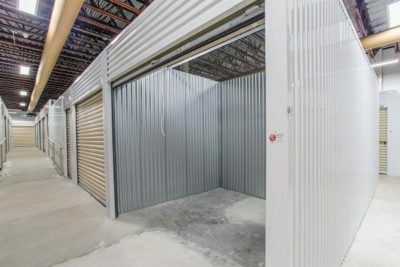 Great storage units and great location. Clean and well maintained. Super friendly staff! We live out of state and my daughter needed a storage unit while attending KU! They have been awesome to work with! My daughter feels safe while there! Great clean facility and location with many options! Couldn't be happier! This is a beautiful property with climate unit which we were not expecting. The staff was so great even though the property was not ready i was given the information needed and I will be back when the property is open. I will be telling my friends about this property.